Discussion in 'Transportation' started by alexf, Aug 10, 2009. 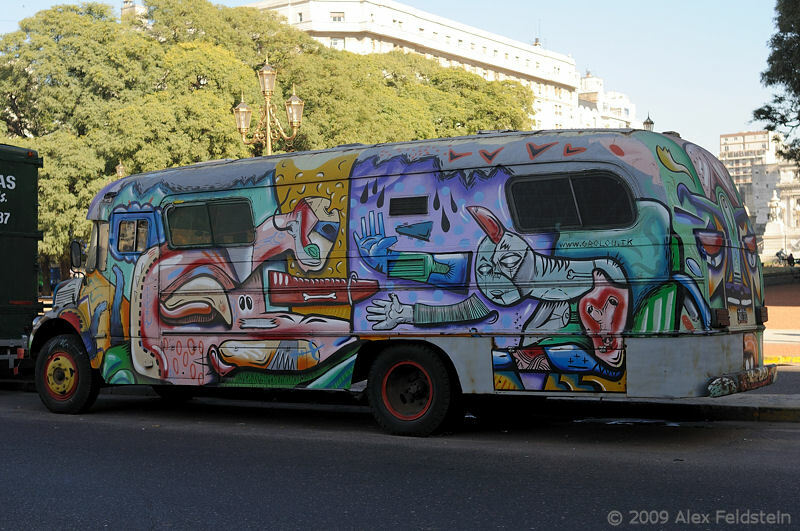 Found it parked on a street in Buenos Aires, unfortunately in the shade on a very sunny day. Still a cool shot. Nice find. Very nice artwork and great shot! 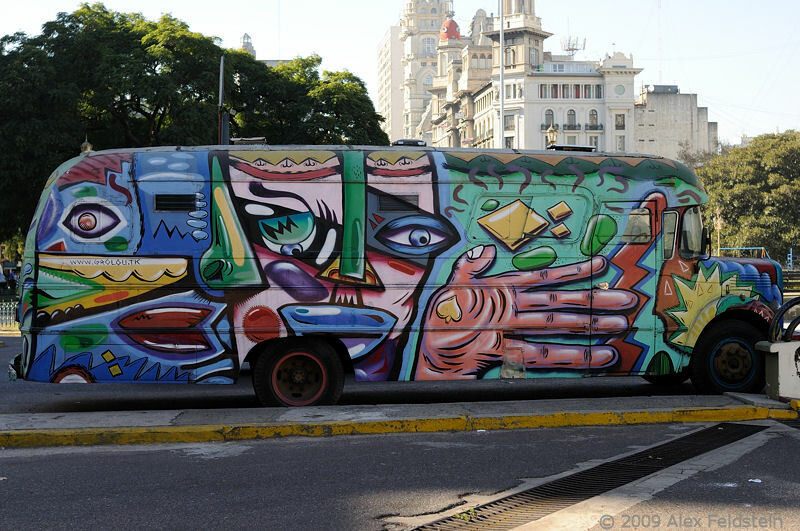 Thats one awesome piece of rolling art work right there. Just had a '60's flash back ........ cool capture Alex. Nice detail! Fun grab Alex!